Terrorist attacks often lead to public backlashes. Following the attacks on July 22, 2011 in Norway, Norwegians showed support for democratic values such as “openness,” “democracy,” and “tolerance” in the public debate and in the commemorations across the country. They also reported higher out-group trust. This paper explores two possible reasons for this increase in trust using a unique panel fielded before and right after the attacks. The first is that cognitive dissonance led people to dissociate from the terrorist and his ideology. The second is that the increase in trust was a response to the public backlash after the attacks. The increase in trust was not caused by cognitive dissonance. Rather, people who were already positive towards immigration, or who saw positive effects of the attacks, became more trusting than others did, and Progress Party supporters increased their trust less than others. These findings are interpreted as a response to the attacks and the political characteristics of the backlash. 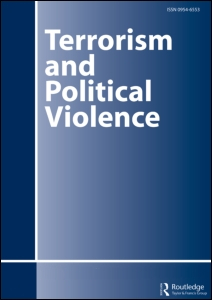 The study concludes by discussing implications for our understanding of the different consequences of attacks for the terrorists’ imagined constituencies and for the broader public. Next story What is the Sovereign Citizen Movement, what do they believe and how are they spreading?